The ultimate in luxury, these classic Burlington Preston argyle design socks are an ideal addition to any look. Supremely soft and comfortable, they are also the height of fashion, fusing the latest designs with a timeless classic style that's bang on trend. 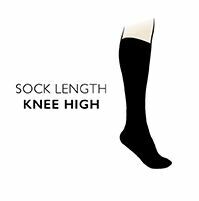 The hand linked toes for smooth seams provide added comfort by preventing rubbing, while the high quality yarns are supersmooth for luxurious all day wear.